With a few weeks left before the first day of spring, and courses across the country closed due to cold weather and snow, many golfers are itching to pick up their clubs. Kurt Uniek, Player Development Manager & Golf Instructor at Billy Casper Golf-managed George Dunne National has put together a series of winter instruction articles. The last in this three-part series focuses on increasing distance. We all want to hit the ball farther. 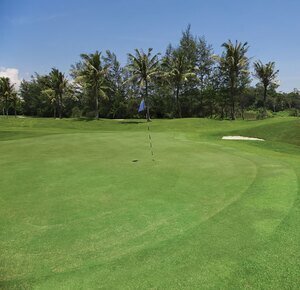 According to Mark Broadie, author of ‘Every Shot Counts’, “The value of twenty additional yards in driving distance is about three-quarters of a stroke per round for the pros and about 1.6 strokes for a typical 90-golfer.” So, very simply, if you hit it farther you will score lower. Isn’t that something we, as golfers, have been striving for forever? You betcha it is! 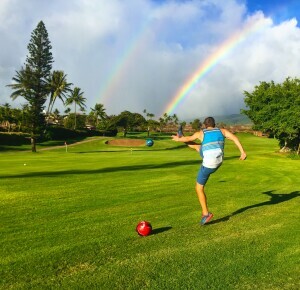 In this article, I will share with you the first steps that I take with my students who want to add some distance to their game. After you read this article and try these ideas out, seek out your nearest PGA Professional in order to continue your journey to longer shots. Some factors that affect distance in a golf shot are clubhead speed, centeredness of strike on the clubface and angle of attack. The first thing I do with my students is talk speed, more importantly how to get speed. This brings me to talking about two things: hip turn and shoulder turn. If there were a SECRET to hitting it far, this would be it: TURN YOUR HIPS AND SHOULDERS MORE! 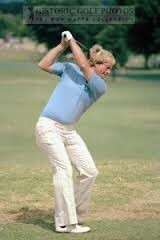 Most golfers that come to me complaining about lack of distance have very low hip and shoulder turn numbers. 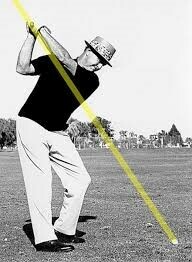 The average hip and shoulder turn numbers for PGA Tour players are 45 degrees and 90 degrees, respectively. 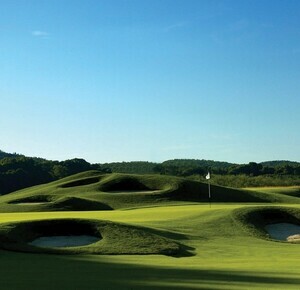 The golfers I see are nowhere close to these. I hear all the excuses, too. “I’m old” or “My back hurts” or “I don’t work out.” In my experience, I have seen all the excuse-givers increase their turn numbers by concentrating on ONE move…are you ready for it??? Here it is, see the photos below. Do you see it? It’s right there in front of you. Nicklaus, Palmer, Snead, in their heyday considered three of the longest, straightest drivers of a golf ball of all-time. Alright, I’ll help you. Look at how their right leg (trail leg) has straightened. This is the key move. “Why is this move so important?” you may ask. Well, there are a couple of reasons. The first and most important is that it allows right hip (trail hip) mobility. By straightening your trail leg, you allow your trail hip the ability to turn. If your hips can turn, then your shoulders can turn. If your shoulders can turn, you can increase your clubhead speed and improve your path into the ball, resulting in longer, straighter golf shots. The second, and equally important, reason is that it takes stress and pressure off your lower back. So, if you suffer from lower back pain after a round of golf, give this method a try. Simple, right? Yet for the last two decades, there have been some that advocate resistance or NOT straightening your trail leg. So, let’s recap. If you want to hit the ball farther and take some pressure off your lower back, it’s OK to let your left knee move in a little. And, if you have to, you can lift your left heel off the ground and let that trail leg straighten, just like the all-time greats above. 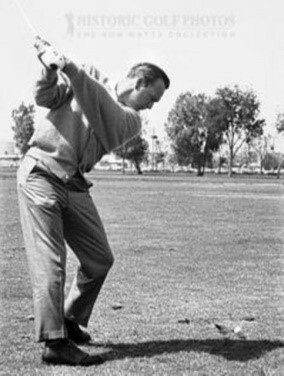 This will allow your hips to turn, which will then allow your shoulders to turn more, which will result in an increase in club speed and a better path into the ball resulting in straighter shots. Hopefully, golf season is just around the corner and you can get outside and give these ideas a try. 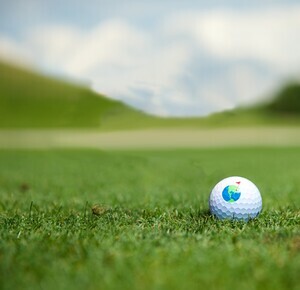 If you need more assistance please feel free to reach out to me here at George Dunne National or get in touch with your nearest PGA Professional. 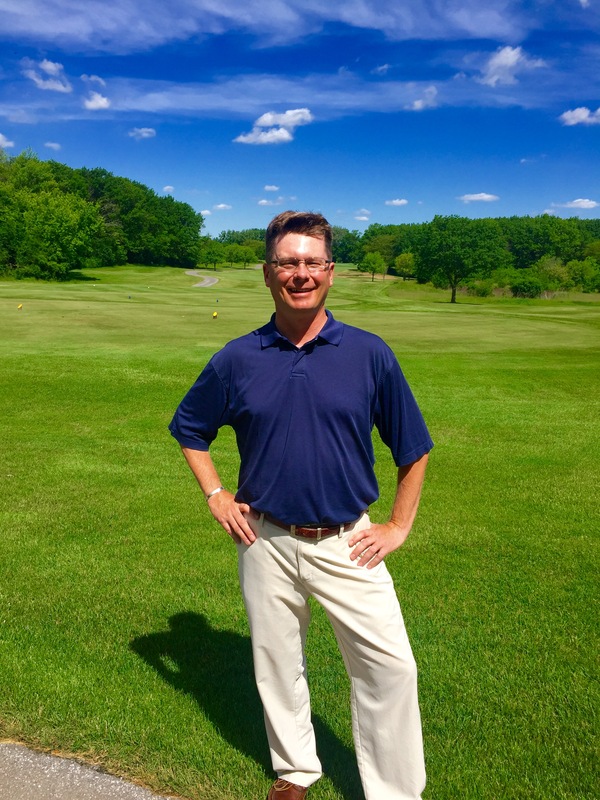 Kurt has been working in the golf industry for over 20 years. 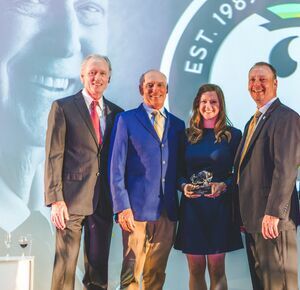 Along the way he has worked at both private and public courses as an Assistant Professional, Head Professional, Director of Golf, and Instructor. Kurt is a local south suburbanite, having gone to High School at Oak Forest, Junior College at Moraine Valley CC, and finishing up at Southern Illinois University at Carbondale where he earned his degree in Psychology.